There are many companies that offer Minneapolis St. Paul Complete Tree Care but only one of them is A Tree Service. We have been a local, family owned tree care company for over 30 years in Minnesota. We are here to help you, our customers, and the local arboriculture in the area. Our team takes pride in every single tree service we provide; big or small. Contact us today and get a free quote on your desired tree care services, including tree trimming, tree removal, stump grinding, tree planting, tree inspections and ongoing tree care. Tree Trimming/Pruning – It is recommended that a mature tree receives biennial trims. This will help prevent heavy overgrowth, keep your trees looking shapely and easily stop branches that are getting close to cable, electric lines, pathways and other undesirable areas. Tree Removal – The longer you let an unhealthy tree be, the harder it will be to remove. Which means that the cost of removal will go up. To ensure you get the most affordable tree removal services it is important to act swiftly because with every day that goes by the trees stability lessens. Stump Grinding – There aren’t many benefits of having a stump in your yard. Yes, maybe you can secure your mailbox to it if it is near the road and your driveway. Or you could mount a bird feeder…But rotting tree stumps attract bugs, weeds and other unpleasant circumstances. Many feel it is best to hire a professional for painless stump grinding services, which we provide. Tree Planting – Want a new tree? Or maybe you would like to add trees on roadsides, your yard or a park. Our professionals have all the knowledge and equipment needed to not only plant the tree but also tend to it to ensure strength and health. Tree Inspection – Want to know the species of trees on your land? Or maybe a couple of your trees are looking different than usual. Our ISA Certified Arborist can diagnose the state of your trees, so there are no surprises to come your way. Tree Care – Sometimes trees need a little more nutrients, water or mulch. Our experience tree care team can tend to one tree or all the trees on your land and we are always affordable. 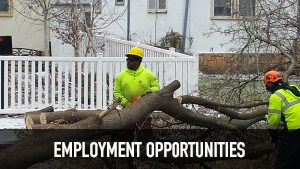 This entry was posted in Tree Care Services MN and tagged Affordable Tree Care MN, Stump Grinding, Tree Care Minnesota, Tree Inspection, Tree Planting, tree removal, Tree Trim. Bookmark the permalink.